Surrounded by the Madonie Natural regional Park, the ancient Kephalodion is a well-known international tourist centre, famous for its wonderful long beach and its artistic and architectural masterpieces. The Temple of Diana is a megalithic edifice dated back to the IX century B.C. ; in addition to many other prehistoric remains, it documents the presence of a human settlement here since the Pre-Hellenistic period. 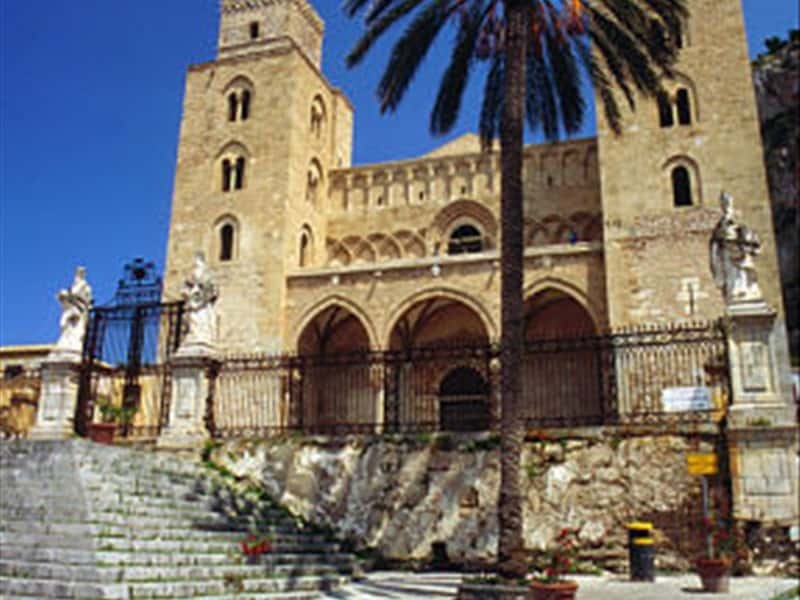 The Norman Cathedral, built on Roger II's will in 1131, and its precious mosaics decorating the apses, The Pantokrator Christ decorating the church is similar to the one in the Palatine Chapel in Palermo and the one in the Monreale Cathedral. An elegant XII century cloister is annexed to the Cathedral. The Mandralisca Museum preserves many important works of art, as for example the "Portrait of an Unknown Man" by Antonello da Messina, a Greek funerary inscription (I century B.C.) and the famous bell-shaped and "red figure" technique "Vase of the tuna salesman". Finally, do not miss to visit the Medieval Washing place, entirely carved into the stone, the XVI century Gilmanna Sanctuary, the Castle della Rocca and the Osterio Magno, the legendary residence of King Roger II. This town web page has been visited 36,048 times.